Elders, now in its 177th year, is taking a new direction in the Home Loans business, with a focus on growth through national recruitment. The Company has ensured brokers have the backing and support of the real estate business with a referral program, which is helping to grow the broking team at a rapid pace. Growth is being achieved through the recruitment of quality people, excellent market conditions, business improvement initiatives and a referral program all implemented under a new home loans strategy being driven by head of home loans, John Rolfe. Appointed as head of Elders Home Loans in July 2016, Mr Rolfe has assumed responsibility for the strategic development of the national home loans business, including the flexible model for brokers to grow their business. 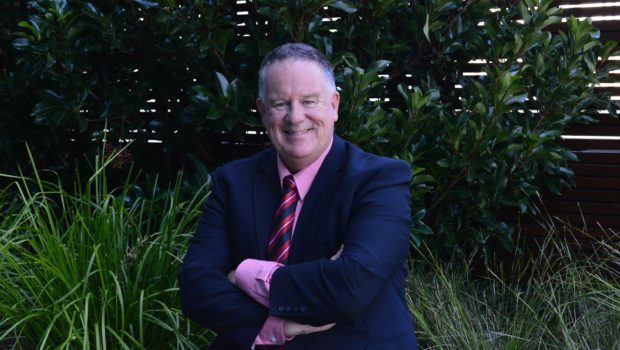 Previously as head of mortgages for a state bank, Mr Rolfe joined Elders with over 30 years’ experience in finance and leadership roles and was a member of the MFAA’s National Lenders Committee. “Over the past five months, we have rebuilt Elders Home Loan’s business, redesigning compliance systems, commission structures and operating models, including restructuring the agreements and product offerings,” Mr Rolfe said. “Low entry costs and a low cost, high commission split model for Elders Home Loans brokers has seen a number of brokers, both existing and new to market, express interest in joining the team and that’s expected to continue,” he said. Elders Home Loans brokers have access to a suite of marketing tools, combined with the opportunity to brand or co-brand their business, which ensures they have the flexibility to run their business in a way that suits them. “I firmly believe in a customer experience that has a 100 percent focus on the customer’s needs whilst ensuring profitability – a mutual benefit for both parties,” Mr Rolfe said. “It makes sense for us all to work together to expand the national home loans business to meet the needs of not only Elders Real Estate agents, Financial planners and Insurance agents and their clients, but also the ever increasing demands of our organic clients,” Mr Rolfe explained. The program has so far attracted well-known NRL player, Scott Minto to join the business as a broker, as well as his brother, Paul Minto as an Elders Real Estate agent and owner of the Yeppoon Elders Real Estate office. Mr Minto says the Elders brand has its own unique appeal to people because of its history and longevity, and the referral program suits the style of partnership between real estate and mortgage broking.